There is extensive analysis and discussion there of the panoramic photographs taken of the Apollo 11 site by Neil Armstrong. While mechanical panoramic cameras did exist at the time, they weren't moon-ready, so instead a series of overlapping photographs were taken. 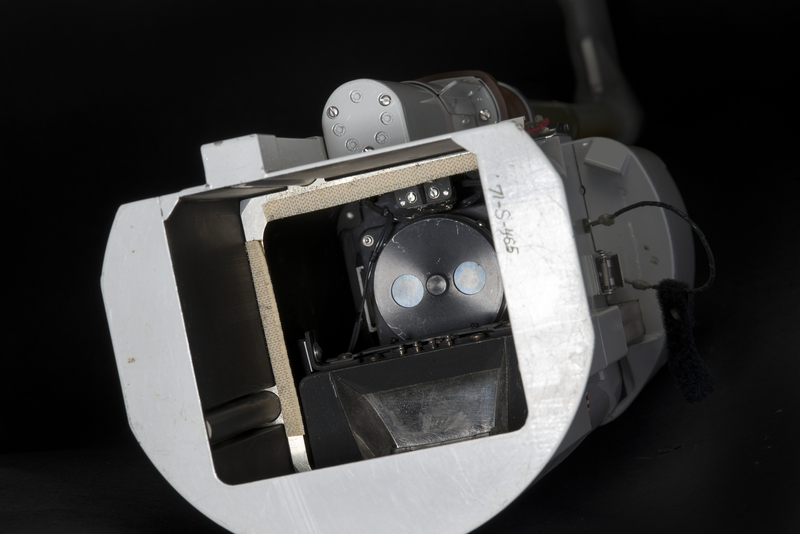 Unlike a proper mechanical panoramic camera, the astronaut version did not pivot about the pupil of the lens, but instead the astronaut just simply turned in place in some fashion. The resulting translation motion between exposures presented the opportunity to analyze parts of the scene that are overlapped by two exposures with photogrammetric techniques. Think of this as a prequel to the navigation camera pairs used on martian rovers. If I understand correctly, this was not a planned thing, and more modern analysis techniques and computer image processing made this possible. 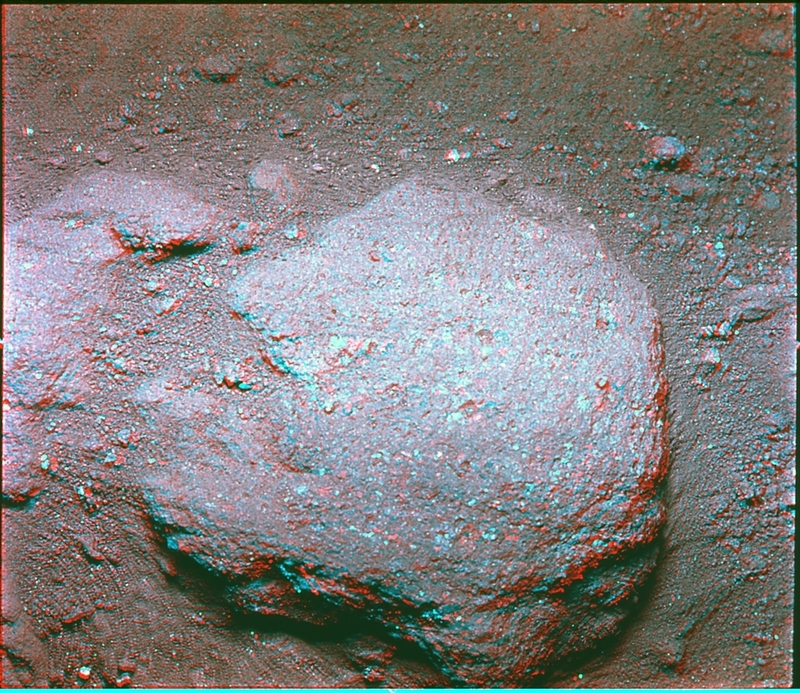 So I'm wondering, when was stereoscopic photography first used intentionally on the surface of a solar system body? It doesn't have to be for live navigation, it could be for later analysis. I'm asking when it was done first on purpose. These include numbered NASA photographs as well as (much) later analysis. Sourced from here. Right click and open each one in separate tab for full size viewing. I believe the first mission that intended to use a stereo pair of cameras was the Luna 13 mission, although one of the cameras failed. Likely the first mission that intended to capture stereo photos was the Apollo 12 mission, which contained a close up Stereo camera. 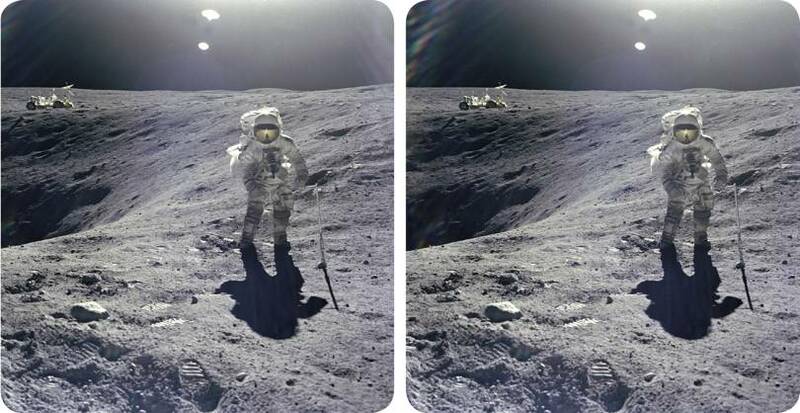 There was also a deliberate pair of images captured with a single camera on Apollo 11, AS11-40-5943 and AS11-40-5944. 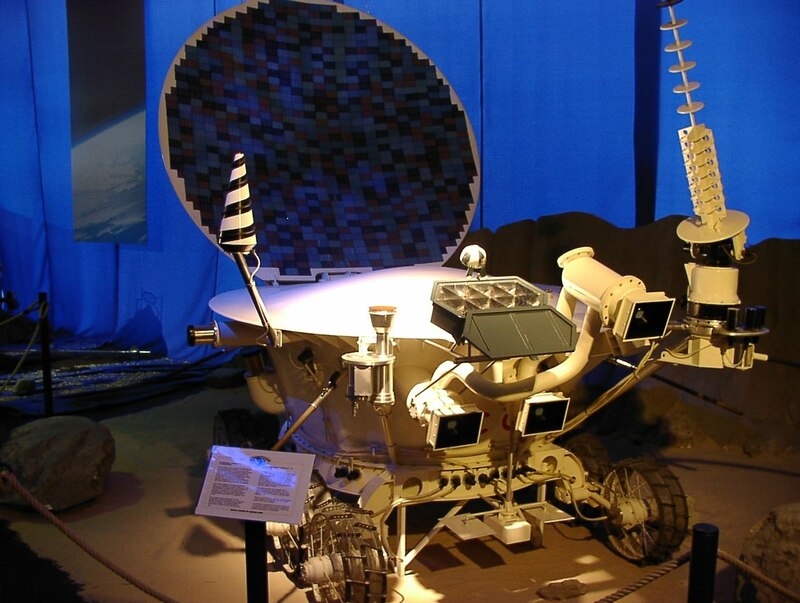 The first unmanned mission that was successful was probably the Lunokhod 1. Images show that it has a pair of cameras that appears to be a stereo pair, and there is no mention of the cameras failing. As the Soviets previously had attempted a stereo pair, I have to assume this one was successful. I've included a replica of Lunokhod 2 below, which is supposed to be a replica. Like most Soviet images of the era, records weren't carefully kept, and thus it is difficult to determine more then early in the mission when the photo might have been taken. 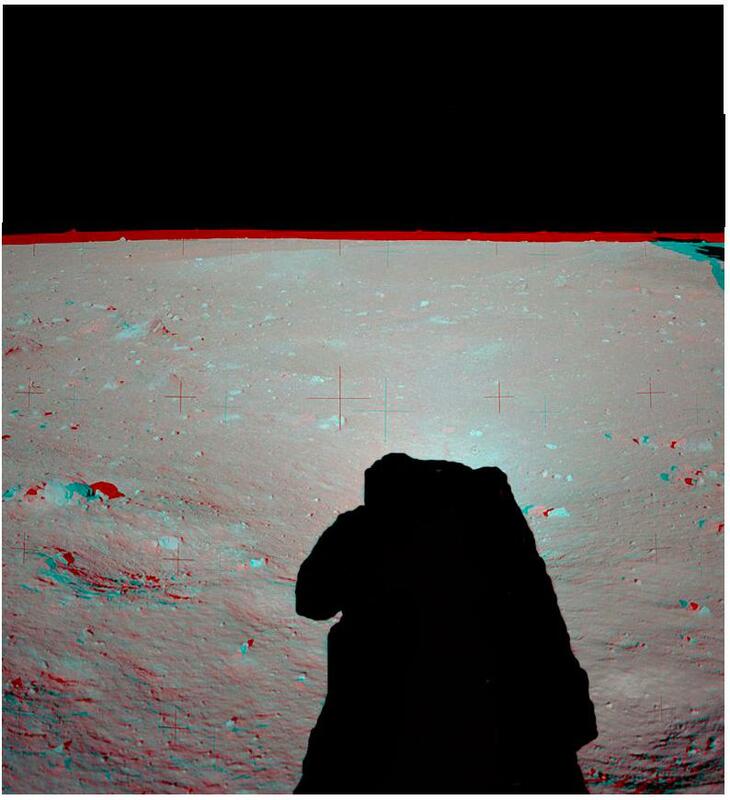 Found in @TomSpilker's answer are sources of an image of the stereoscopic camera used on Apollo landing missions, as well as some of the actual intentionally taken stereoscopic images of the lunar surface. This Eastman Kodak 35mm camera is the same type as those used to take pairs of close-up photographs of the lunar surface. 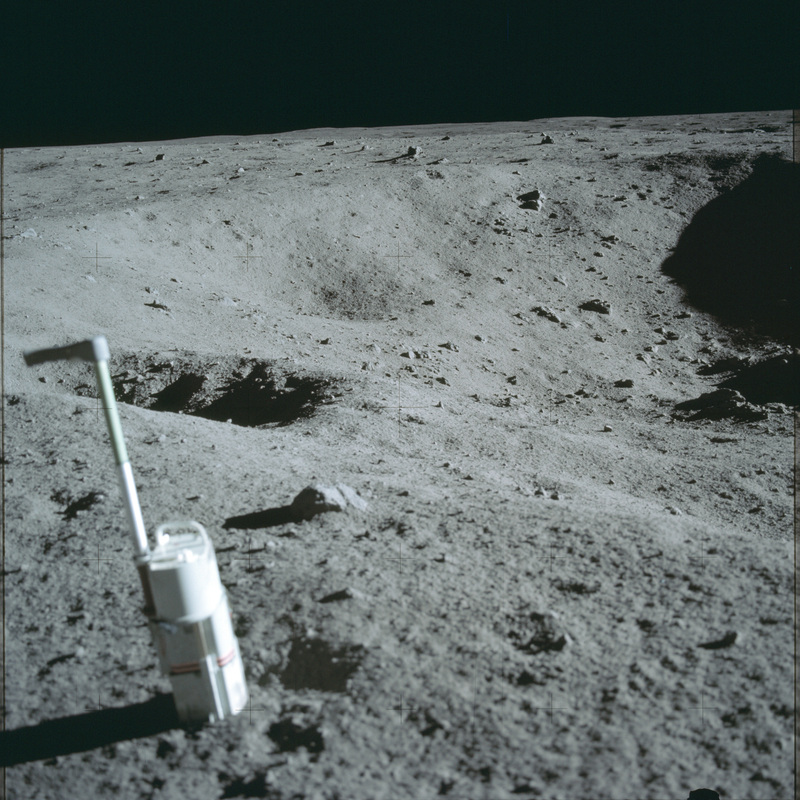 When the camera’s base was placed on the Moon's surface and the trigger under the handle pulled, the camera would photograph the area beneath its lenses. The resulting photographs would give a three dimensional or stereoscopic effect when placed in a special viewer. This item was transferred NASA to the Smithsonian in 1971. The book Mission Moon 3-D: A New Perspective on the Space Race by David Eicher (editor of Astronomy Magazine) and Brian May (musician and astrophysicist) apparently has 150 stereoscopic pairs of the Apollo missions to the Moon. If the name Brian May sounds familliar, he's the guitarist of the band Queen, and he fairly recently went back and completed his Ph.D. Thesis as discussed in Why is there free magnesium in the ecliptic (if there is) and why would some be orbiting within the ecliptic plane but retrograde?. 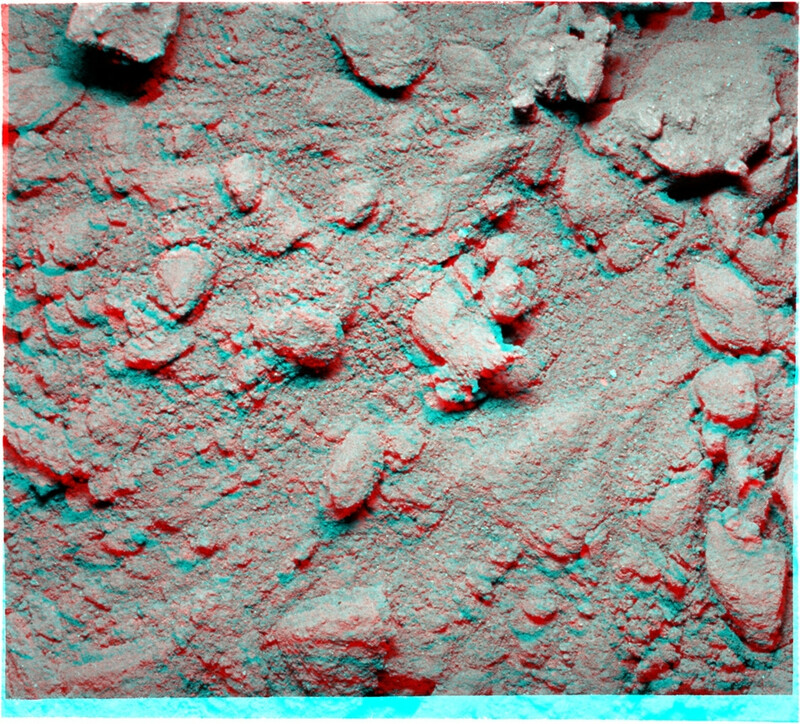 In the short video contained in the BBC News article The space race like you've never seen it before, May says that the astronauts were trained to take an occasional stereoscopic pair of photos by taking one photo, displacing the camera to the side and taking a second. “What you’re trying to do in 3D photography is to recreate that effect, so you take a picture from here and a picture from here, and you make sure that this picture goes to this eye, and this picture goes to that eye. The astronauts didn’t take stereo cameras up with them, but they were trained in a rudimentary stereo photography method which meant their normal photographs could easily be turned into 3D images. “Very often they were too busy to remember it and practice it,” May says. “But they were taught to do the ‘cha-cha’ thing – take a picture here and a picture there and eventually it became a 3D picture. Occasionally you’re lucky enough to find one of those. “You also get someone like Michael Collins, [Neil Armstrong and Buzz Aldrin’s crewmate on the Apollo 11 mission] while his mates are the first men on the Moon, he’s circling and taking pictures of the craters on the far side of the Moon – he had great presence of mind. We will have to wait for the book to see how many of these there might be. Not the answer you're looking for? Browse other questions tagged rovers navigation imaging photography or ask your own question. Where do the poles of the Solar System point?